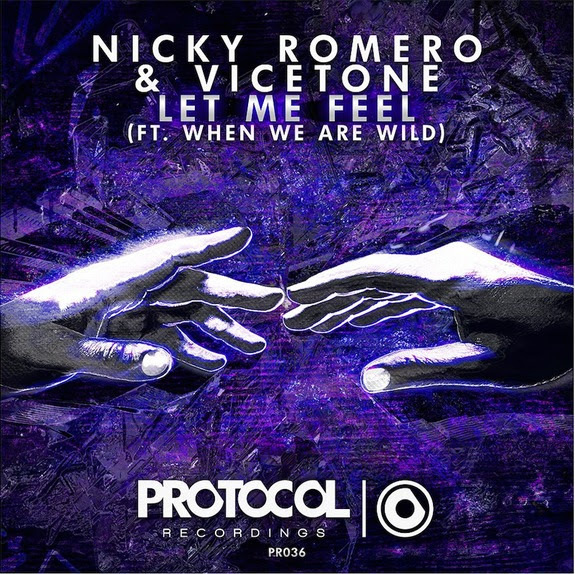 Protocol Recordings, Nicky Romero’s premier record label, releases Nicky and Vicetone’s new single, ‘Let Me Feel’ featuring When We Are Wild. After a successful debut of the track at Ultra Music Festival Miami this Spring, the Protocol power team should expect their first collaboration to be a massive hit as it has already seen over 700,000 plays on SoundCloud preview. On ‘Let Me Feel’ Nicky and Vicetone’s expert layering of melody-rich synths, combined with When We Are Wild’s emotional vocals, create an uplifting, progressive original that exerts beauty in every direction. With this release being one of the most anticipated records on the label this year, it will surely get the excitement brewing for the upcoming New York Reboot, a Protocol family affair on Halloween Weekend. At the age of twenty-five, Nick Rotteveel – a.k.a. Nicky Romero – has already built a remarkable musical empire. Known the world over for his UK #1 hit single ‘I Could Be The One’ with Avicii, the Dutch DJ, producer, Protocol Recordings label head and global brand ambassador, exploded into the DJ Mag Top 100 in 2012 at number 17, climbing ten spots in a year to reach number 7 by 2013. Having collaborated with, and produced tracks for, some of the most iconic names in music (Rihanna, Britney Spears, David Guetta, Calvin Harris) you’ll also find Nicky Romero playing on some of the biggest stages in the world, including Ultra Music Festival, Tomorrowland, Sensation, Electric Daisy Carnival and Coachella to pick just a handful. Following an MTV EMA nomination for Best Dutch Act in 2013, Nicky Romero continues to make his indelible mark on the music industry that can be felt in the hearts of his devoted fans. Pushing relentlessly forward with the wind at his back and a new professional studio, he will begin the next chapter of his career with a debut album coming in 2014. With these plans and much more to come, the Nicky Romero brand is expected to grow and mature, becoming an increasingly influential and venerated force in the international music arena.